Exploring Three Bridges Park below Menomonee Valley Urban Ecology Center. Most kids are back in school by now; that means their outdoor play time is dramatically reduced. That assumes, of course, that children actually spend time playing outside and exploring nature. Data suggests otherwise. “Children don’t play outdoors on their own very much at all,” Cheryl Charles says. She’s co-founder of the international outreach organization Children & Nature Network. "They tend to go from an indoor environment at school to an indoor environment at home or even at a neighborhood center,” she says. About 75 percent of preschool age children in the United States are enrolled in child care centers, “and of those, barely half get outdoors every day,” Charles says.” And not just are they not outdoors, they are sedentary. " The numbers don’t improve as the children enter elementary school, “trends are that recess is being eliminated, there are indicators of sedentary, overweight, hooked into electronic media, on average 7.5 hours a week now for 8 to 18 year olds," she says. 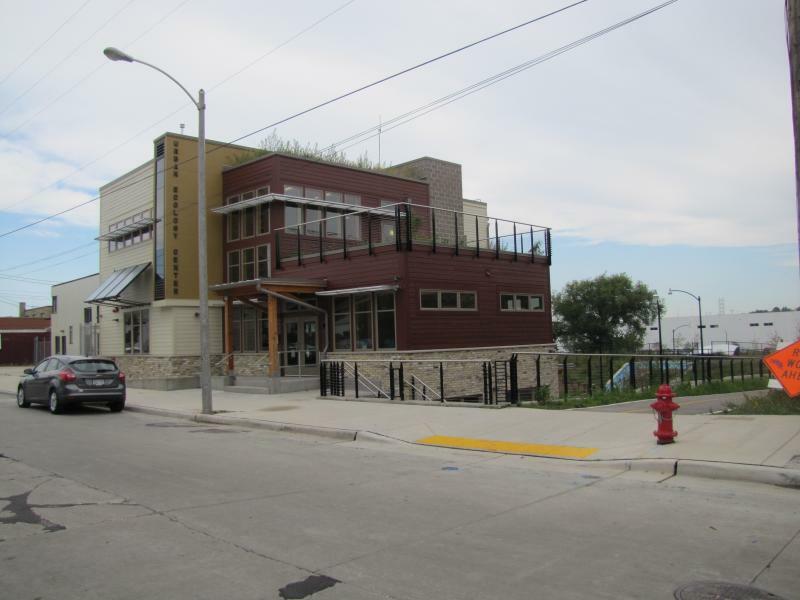 But organizations such as Milwaukee's Urban Ecology Center are out to change that. Its branches – one east of the Milwaukee River off Locust Street, another in Washington Park, and a third in the Menomonee Valley – work with neighborhood schools to help connect kids to the urban natural world. The outdoor educators at the UEC wanted data to prove what they intuitively believed – kids that explore nature on a regular basis don’t fear it, they are excited about it. So, before their Menomonee Valley location opened in 2012, UEC decided to study kids’ attitudes about spending time outdoors. They surveyed 365 neighborhood school children before UEC's new location was launched and a nearby natural space opened and, again, after everything was up and running. UEC's Beth Heller says the finding that excited her most is that kids get over being afraid - of wildlife, getting dirty and scary people. "Our most important finding is that kids love and value nature," Urban Ecology Center's director of education Beth Heller says on UEC's website. "Generally speaking, they believe it makes them healthier, teaches them new things, calms them down when they are upset, and offers them freedom, excitement, and yes, time to be dirty." “The other number that I love is that kids are three times more likely to come back and visit outside of the school day than the kids that never came on a field trip,” Heller says. Collaborator Kirsten Beyer reports encouraging data among kids who were not part of Urban Ecology Center classes. “They said, oh yes, we found the park and that it’s a place that we can go outside and play,” Beyer says. (Left to right) Kristen Beyer, Beth Heller and Cheryl Charles discussed the importance of children learning to explore nature. Kirsten Beyer, assistant professor in the Division of Epidemiology at the Institute for Health and Society, served as the study’s principal investigator. Beyer says early research revealed that their study, called More than a Pretty Place, was more unique than they realized. “What we wanted to measure was knowledge and attitudes about outdoor play in nature; and what we quickly discovered was that there weren’t too many measures about that,” Beyer says. So the team devised their own. “We developed an 'attitudes toward outdoor play' scale and it has two parts. One about benefits, or the beliefs and benefits of outdoor play and nature, and the other part is about the fears,” Beyer says. Beyer and Beth Heller have shared the More than a Pretty Place study with their peers at the International Medical Geography Symposium, as well as The Global Summit on the Physical Activity of Children. She says that’s proof that the work launched in Milwaukee needs to be done. “I believe there is a story here, and lessons learned here that will help people throughout the United States and potentially beyond, because we’re an urbanizing planet. People throughout the world are increasingly living in urban environments and so this kind of model makes sense beyond Milwaukee,” Cheryl Charles of Child & Nature Network says. Thousands of kids spend their weekdays in childcare. On Milwaukee’s south side, a new child care center has opened with an eco-twist. After a decade of collecting buckets of public and private funding, a 24-acre park comes to life in the Menomonee Valley. The renaissance of Milwaukee’s Menomonee Valley – once a hub of machine tooling and leather tanning – not to mention tens of thousands of jobs - could be described as a brownfield redevelopment project on steroids. Over the last decade, crews have cleaned up or contained more than 300 acres of landfill – gradually drawing commerce and jobs back into the corridor.